There are many types of forklift tyres. Forklifts intended for different uses have specialised kinds of tires. 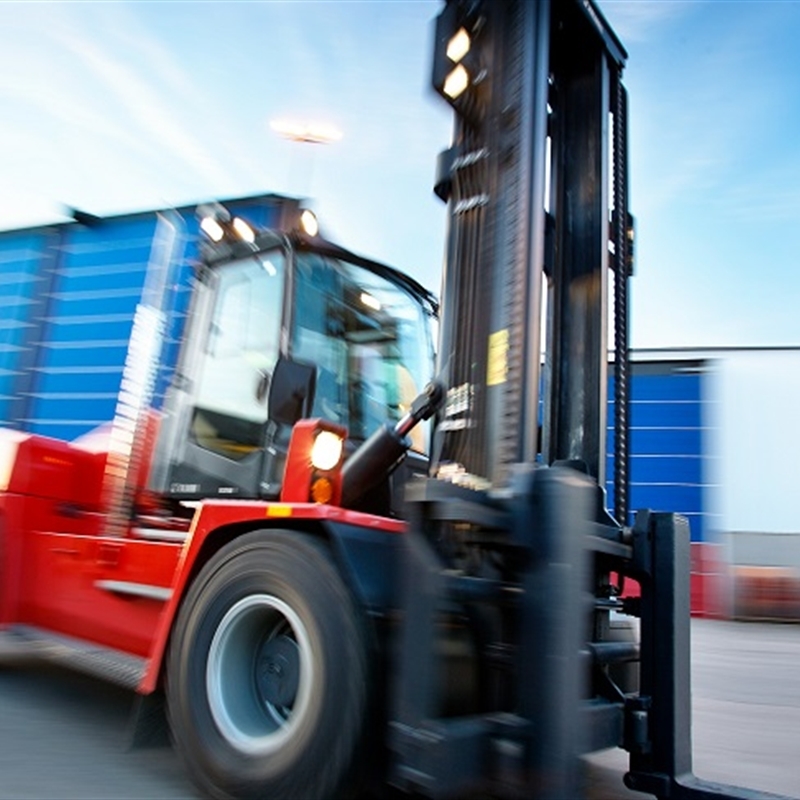 The most common types of forklift tires are pneumatic, solid, and polyurethane. Each has its advantages in whatever situation it is intended for. Forklift tires are usually either press-on or standard. Press-on tyres are easier to put on the forklift, but they may not stand up to some of the more difficult outdoor terrain that standard tyres can. Standard tyres are put on the wheel in the same way as car tyres. Press-on tyres are usually made for electric forklifts or other forklifts designed for primarily indoor use. Pneumatic forklift tyres are very similar to heavy-duty truck tyres. They are filled with air, have a thick, deep tread, and are made of strong rubber that resists wearing down. Pneumatic tyres extend the operating life of the forklift by providing an air cushion between the forklift and the terrain. Most rough terrain forklifts use pneumatic tires due to their rugged durability and long lifespan. Solid rubber tyres are an alternative to pneumatic tyres. They are the same except that they are solid rather than filled with air. They will not pop or go flat like pneumatic tyres, but they do not provide an air cushion either. They are very long lasting, but they don’t extend the life of the forklift like pneumatic tyres. Solid forklift tyres are great for indoor use or light outdoor use. They are not recommended for long-term rough terrain use.